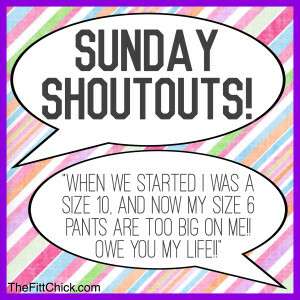 I am so thankful to everyone who has shared their journey on TheFittChick plan. There is nothing more rewarding than knowing I have helped you improve not only your physical appearance, but above all your self-esteem and overall health. Click HERE for more TESTIMONIALS, and for before and after TRANSFORMATIONS click HERE! If you are looking for a weight loss plan that works, you found it! TheFittChick program has hundreds of success stories that can motivate you to start your journey today. For more info on my program, click HERE!